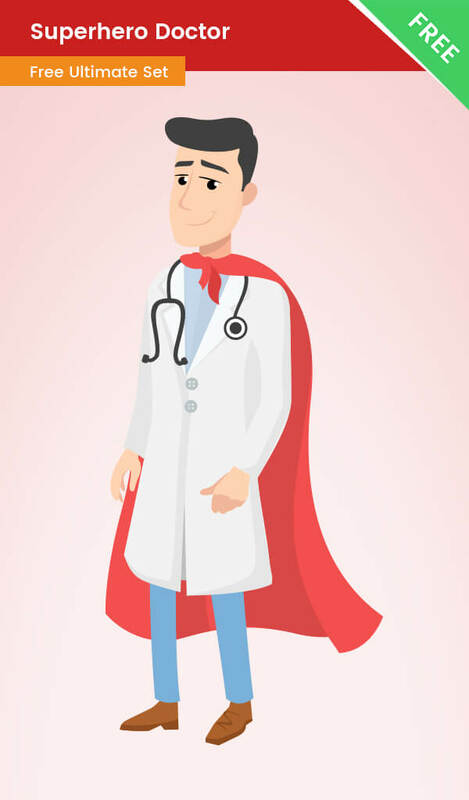 A clipart of a doctor made as a superhero. This clipart is perfect to illustrate that your medical related character has superpowers and it is more trustful than the otters. This vector superhero medical character has a stethoscope, and black hair, he has a red cape and wants to help people. Our superhero doctor is made of vector shapes, so you can easily modify the character – add him a logo, or change the colors.